I havent' yet properly started (can at least confirm everything runs fine on my new win10 notebook, but that was to be expected). 1- I wasn't able to use some of the hot keys I was used to in combat such as "s" for skip and "a" for attack since they were tied into "wasd". Skipping in battle works via "space" now. It took me some time to readjust myself, too, but I find it very convenient by now. Attacking is on "T" now I think. "A" was more logical for it, but then wasd movement would not work out. WASD (plus Q,E,Z/Y and C for the diagonals) movement is quite the standard from gaming for me, soI really liked to get it in. Maybe later on I can setup the old scheme again and add an option on toolset level regarding this. Btw pressing "H" will show all the (new) hotkeys. 2- It would be nice to have the "ESC" key be tied into the "Do you wish to exit the game" since there were a few screens that didn't have the "exit" button on them. That's a great idea. I will try to code this somehwere central in gameview class, so it offers on all screens to exit the game when "ESC" is pressed. Hey, slowdive, appreciate the preview. Looks like a strong party you've got there, you should do fine. Glad you noticed the little details. The castle grounds in particular had always been pretty sparse, and I wanted to make it a more interesting map right out of the gates. IceBlink has really come a long way as an engine. I think it is the toolset I have most enjoyed out of the ones I worked with (FRUA, NWN2). youngneil1, thanks for your attention to the technical side of things, much appreciated. That is awesome to hear, many thanks. I lack any significant experience with the other toolsets, so your inside view on this is much appreciated. Thank you again, I am trying to smooth out little stuff left and right. Sometimes with good results, soemtimes more mixed. 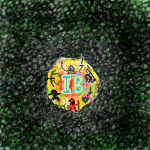 But the great thing is that this is an evolving process and with enough time I am fairly sure the IB project can only grow to be even more fun than it already is . I'm second level now and finished the goblin quest. Lots of new tiles being used in old areas... Looks great and consistent feel. On an engine side, it may look better to have the top Stone like window bar go away. Since now we exit the game via other means and most of the time it loads in full screen. Could be really done by changing the bar image to a blank image, fully transparent image that is. I removed the bar in v112, great idea there . Hearkenwold is on my new notebook, too, now. After typing the spells for square effects and combat triggers tutorial I will pause coding for a while and instead explore Hearkenwold. @youngneil 1, no pressure to jump back into Hearkenwold, you have been doing so much work on the engine already. There is a shortcut to the new areas, that can be found through exploration. Although a party will want to gain a few levels first or else they might have a hard time. @slowdive, the goblin cave is one of the beginning maps that definitely needed to be replaced with new floor tiles and the skull piles as well. I'm happy with the new look. Both the floor and skulls are from the FRUA art archive. If I had to do this project all over again, I would have used Gold Box style graphics throughout, and that's what I have been building with for the most part since the past year. I am starting my journey now . I use beta v113 in order to see any potential trouble with the most recent code. Party is six characters. I rolled them by using every roll I got, no re-rolling. Then assigning classes as fitting (and halfwhat balanced) as possible. This ended up with 2 human clerics (m/f), 1 dwarf fighter(m), 1 elf wizard(f), 1 human thief(m) and 1 human paladin(m). I got quite lucky rolls, except one of the clerics. The d12+6 is quite gracious. It felt inspiring creating characters this way, with the flaws I would try to avoid otherwise. They have more edges this way for certain. Also, it is great to look through the glorious tokens and portraits and let those inspire ideas about the characters. - it is a great feeling to quickly rotate leaders via a/d keys and move the log via w/s (also blending it in this way). Hey, youngneil1, that looks like an interesting party with the extra healing available (2 clerics and a paladin). Should open up some tactical options in combat. I added the early encounter because I was curious how unarmed, defenseless characters would fare. I'm guessing the wizard perhaps carries the battle. And I also enjoyed playing with the metaphor of wolf = enemy predators who likely will be coming after the party. As well as the literal fleeing from wolves in the woods. Hehe, indeed facing the wolf unarmed made me double check the inventory for weapons . Healing power and high str on some chars carried my guys through the encounter. The beginning of Hearkenwold feels very good the way it is all setup now (combination of the castle graphics, the explosion memory, the wolf encounter, the texts that create the right mood). I fixed a crash bug affecting Hearkenwold in v114 (just released) which I introduced in v106, so v114+ should work great for further evolving Hearkenwold (with the caveat that I am still at the very beginning, so we will see which other bumps in the road I come across). I especially like the new interior graphic update inside the castle (chairs, floor, height system... fits all very nicely).